Idles about. Shoots out a golden beam of light that causes a blossoming tree to grow. Yes, thru the Caverns of Time. Kuster, I agree completely. This pet was a godsend for me in completing the Family Brawler Achievement. I seldom use magical pets in my pvp teams. However, this little guy may see more rotation play in the future. He isn't much to look at but his abilities to dodge attacks and heal himself or other pets makes him very flexible in pvp. Also, being a magical pet means that large hits that do hit are not going to be as effective against the little guy. This pet is incredible in pvp. Being faster than basically anything that isn't a flying type and having strong attacks against flying, makes it reliably one of the minions that abuse the 2 Turns dodge. Also having whish makes for an excellent way of staying alive or healing your other pets. It is not uncommon for this pet to solo two or even three enemy pets. All around a must have if you're into Pvp. Very low drop for a really long raid. do I get to his location throught the caverns of time? apparently the drop rate is really low, lucky for me i had him drop twice in 3 runs! now for that darn grotesque! This little wisp is amazing, it can solo entire groups making leveling pets a breeze. My leveling team now includes Hyjal Wisp and Wretched Servent. Evanescence(dodge) at 325 speed and Wish makes for some powerful heal combinations. 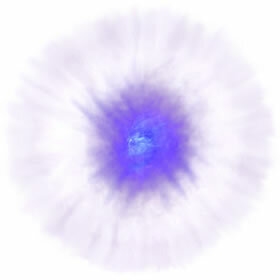 Evanescence also works very well with Arcane Blast for stacking more damage. Excellent addition to the magic pet family. Keep away from mechanicals where you won't be able to do much damage. Speedy Magic with avoidance, nice scaling damage and Wish!... will be interesting to see how he fares. Hundreds of these wisps came together to defend Hyjal from Archimonde and save the world.